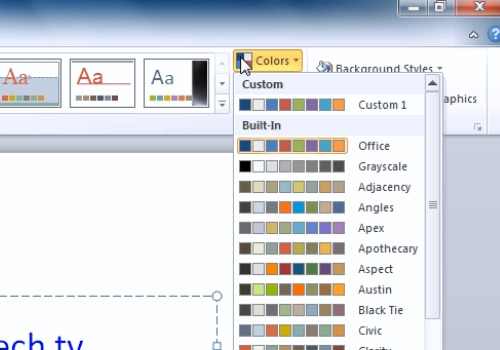 In this video tutorial we will show you how to change powerpoint hyperlink color. Type the hyperlink or create the label and add the hyperlink to it. To add the hyperlink to a text, select the text and right-click on it. Then click on the “Hyperlink” option from the pop-up menu. In the appeared window, click on the “Existing File or a Webpage” option. Type the hyperlink URL in the “Address” field and click on the “Ok” button. Select the “Design” tab and click on the “Colors” drop-down menu. 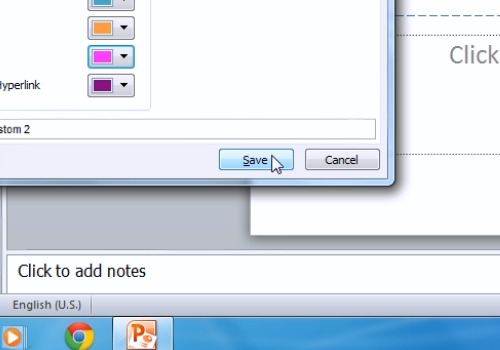 Select one of the themes with the color for the hyperlink that you like or click the “Create new theme colors” button. Select the “Hyperlink” drop-down menu and click on the color you like.